Cheating might win you a game, but it won’t win you any friends. In this case, the red-handed dickhead didn’t get either. The cheater tried to capture a point for the first half of the game, but repeatedly came up against Reinhardt shields, D.Va defense matrixes, and you know, two whole teams cooperating to make their life difficult. “The cheater didn’t appear to be fluent in English, but would type in chat things along the lines of ‘im just pro-gamer’ or ‘WOW NO DRAW,’” SixZoSeven explained to me via DMs. Eventually, they switched to Torbjorn and just sat around until the match ended. As far as SixZoSeven is concerned, that was an admission of defeat. Names censored by SixZoSeven to protect people’s identities and whatnot. Both teams went on to report the cheater, but apparently they haven’t been banned yet. SixZoSeven is in the process of filing a more comprehensive complaint that’ll hopefully be the nail in this cheater’s coffin. 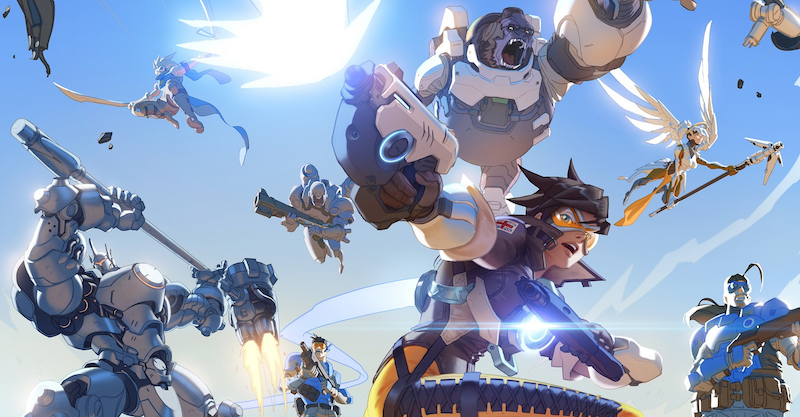 SixZoSeven thinks Blizzard has the right idea in taking a hardline, hardware-ban-heavy stance on cheating, but there’s always room for improvement.